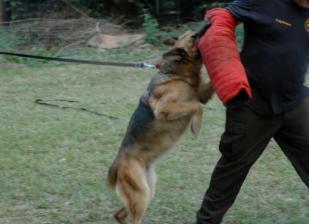 Schwarzer Hund GSD provides trained dogs as well as training services. We have both dedicated trainers on our staff as well as outside consultants with a shared wealth of experience in obedience and protection work. Please call 1(800) 766-1804 (ext:1) or email owner/operator Robert Whitlock for a consultation and price quote, or for any questions you may have regarding our training programs. Obedience: We specialize in obedience for working breeds, and suggest to all of our clients that their dogs have at least basic obedience. These are powerful breeds that should be kept under control at all times. 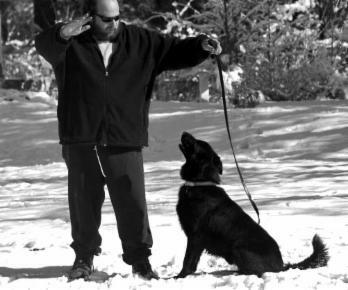 Basic and advanced obedience packages include a demo and handler training. *All package prices include both training and boarding fees as well as a handler instruction course. Delivery and or pickup is available for an additional fee. 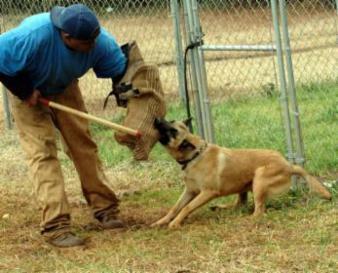 * A $100.00 discount is applied if the dog to be trained was purchased at Schwarzer Hund GSD.